Lumber milled and ready to go. 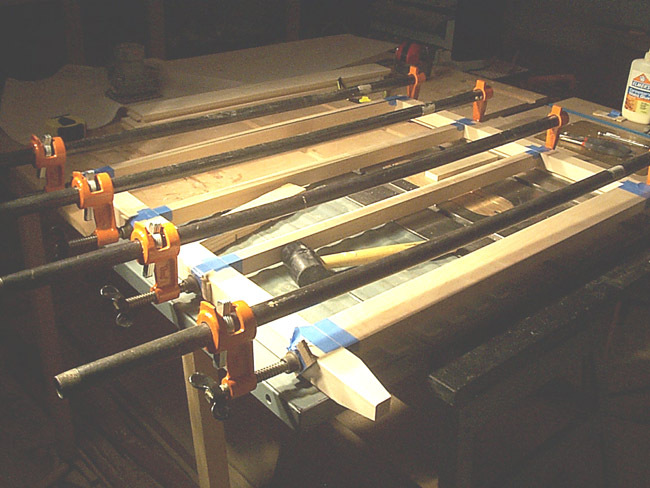 Glue up of front frame. 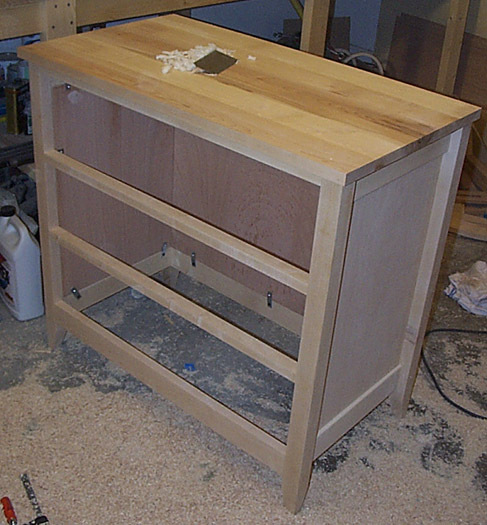 Maple plywood sides and back are installed, along with the top. 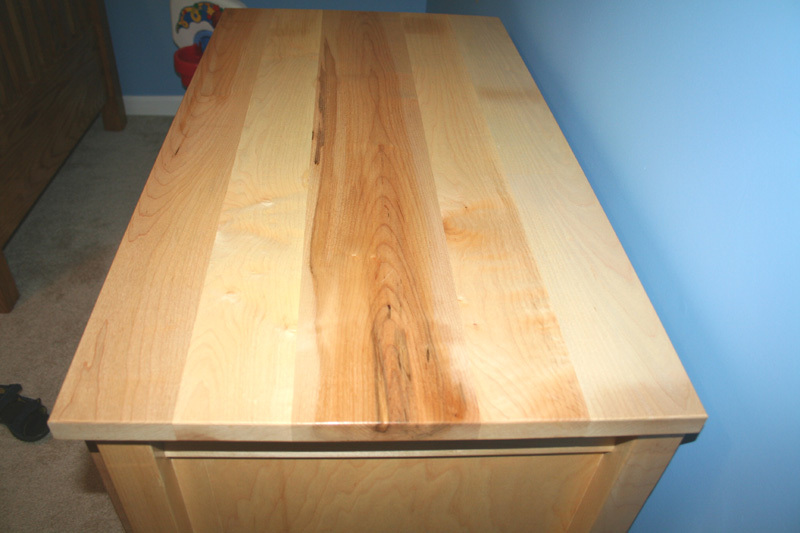 The top is made by joining five maple boards. 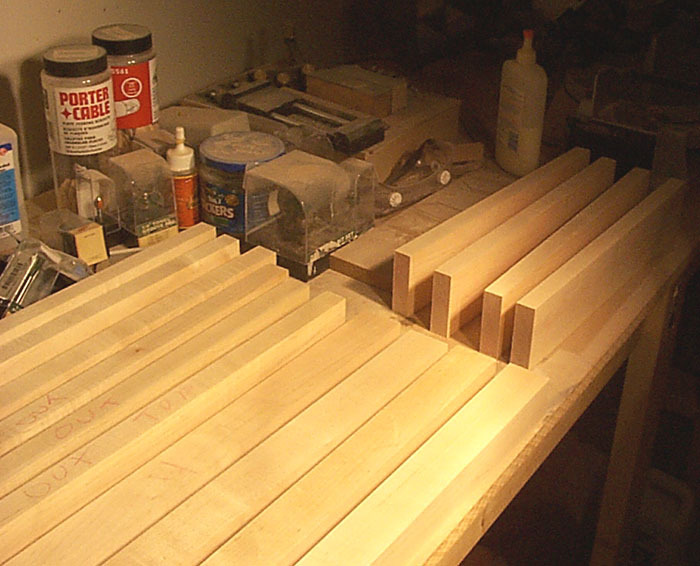 A few of the boards have a lot of color in in them (heartwood) and I think it is going to look nice when finished. 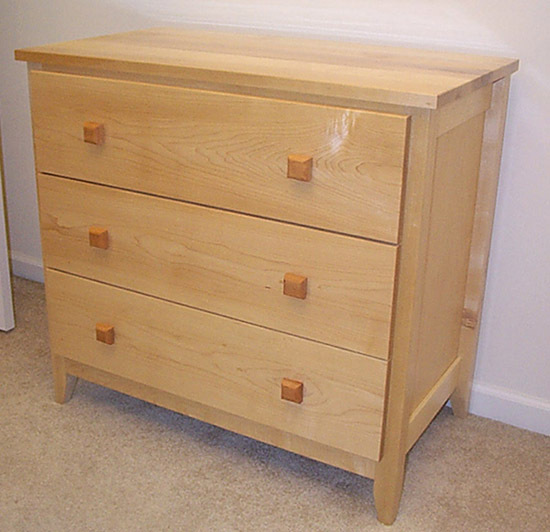 Drawers are assembled. 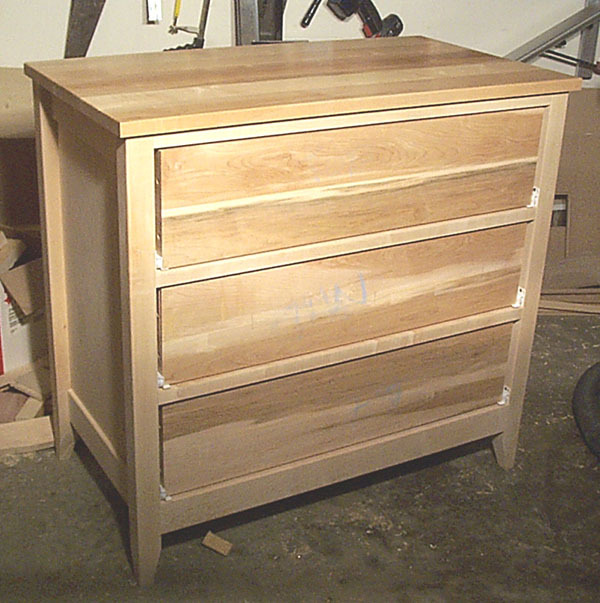 At this point, I still need to work on the drawer fronts and pulls. The pulls will be made from cherry. 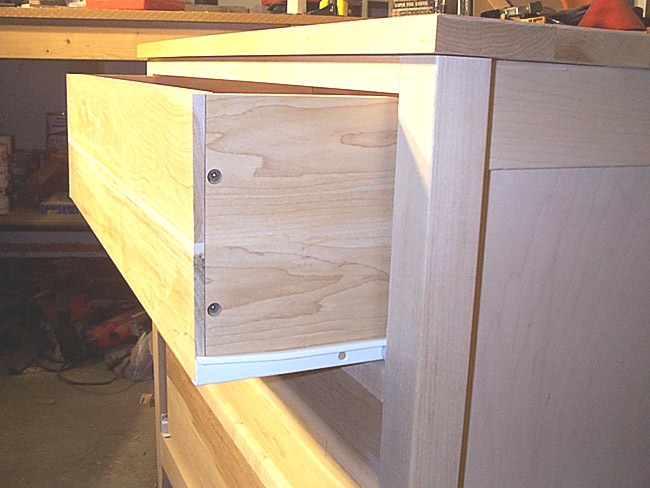 I constructed the drawer using a screw reinforced rabbet joint. I still need to plug the screws with cherry. Finally finished! Finished with wipe-on polyurethane. 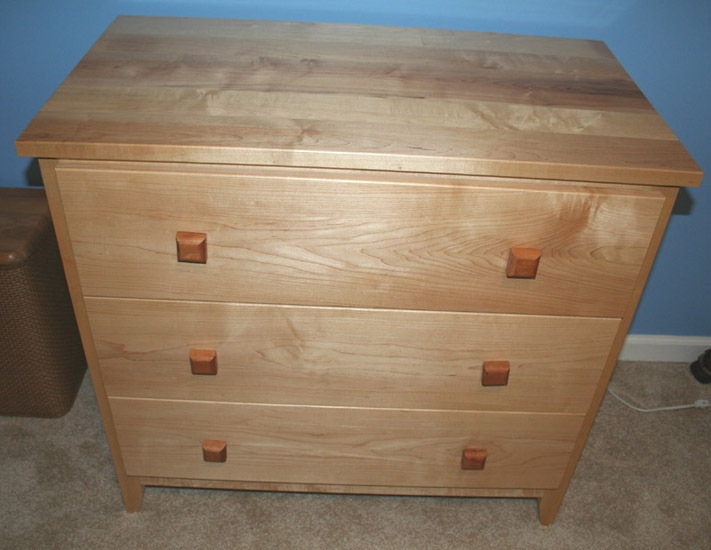 Drawer pulls are cherry and were made using the router. Showing off the grain of the top here. 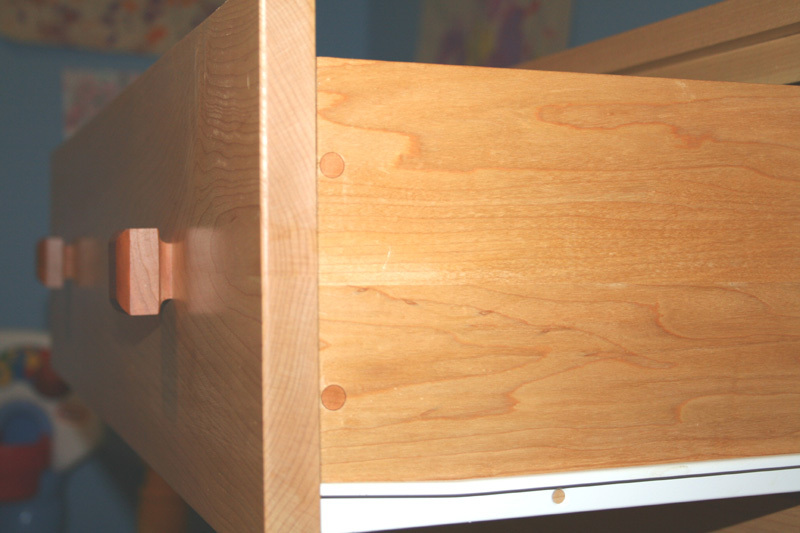 Close up of top drawer showing the cherry plugs and shop made cherry drawer pulls. 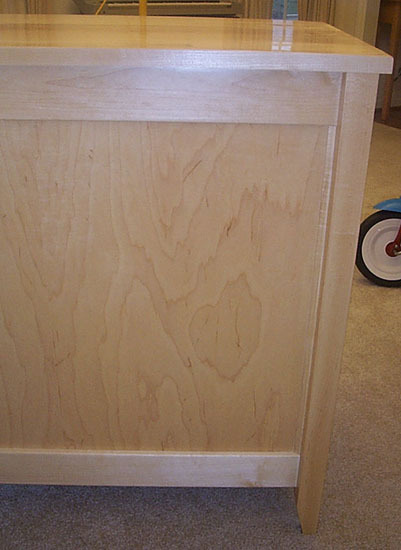 Back side of the dresser showing shop-made cove molding. 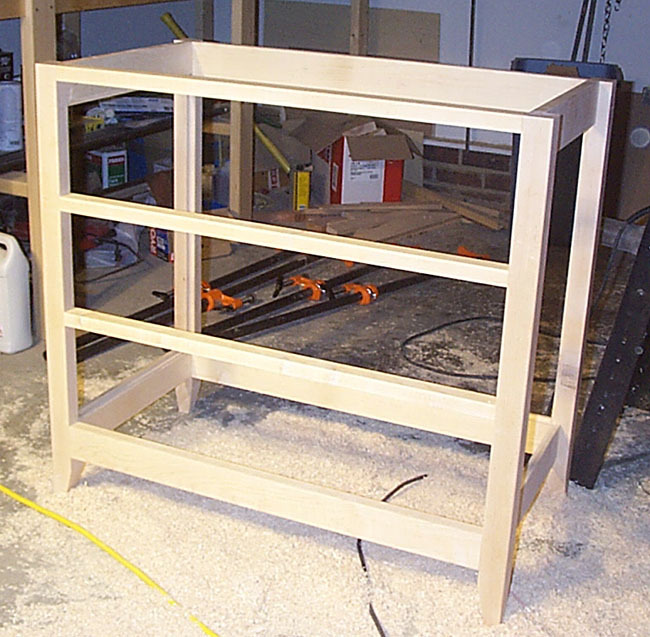 Unlike the sides which sit in a rabbet all the way around, the back panel sits against a thin strip of molding on the left and right side and a rabbet top and bottom.